Having launched at the Speciality & Fine Food Fair in London in September, Jimmy Attias, co-founder of Bean & Pod, outlines the chocolate brand’s ambitions. What is the background to the brand? From their hand to yours. Bean & Pod handcraft, hand fill and hand roast its range of gourmet chocolates. Launched this year, Bean & Pod is artistry in motion. Our chocolatiers make each chocolate by hand in our artisan kitchen in Manchester in the UK. The founders of Bean & Pod set out to make memorable chocolate moments with an explosion of taste – too sensational to share. Bean & Pod is on a quest to create chocolates to accompany life’s most welcome moments – for everyone. 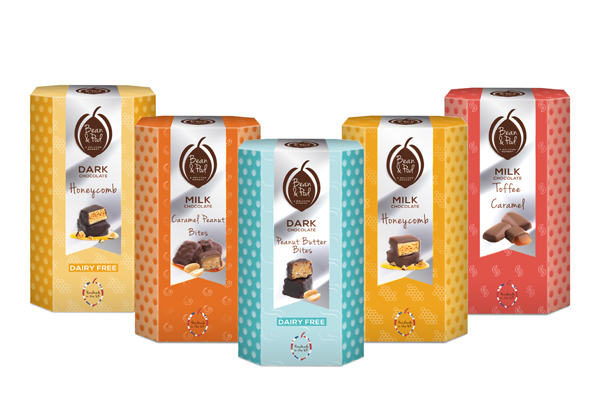 The whole Bean & Pod collection is Vegetarian Society approved or Vegan Society approved. What type of outlets do you sell through and do you plan to expand this? Our chocolate collections are available online at www.beanandpod.com. Bean & Pod is also available through local delis and independents across the UK. 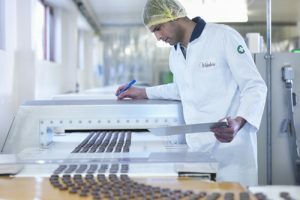 As a Conde Nast Johansens official chocolate partner, we are in discussions with many luxury hotels across the world – with other export opportunities being developed too. Those looking to indulge in great tasting, premium chocolate, as well as vegans and vegetarians. What are your best sellers and have these changed over the years? As we only launched in September we can’t say just yet. We do have a couple of personal favourites; Dark Chocolate Cocoa Dusted Salt & Pepper Almonds, Milk Chocolate Caramel Peanut Butter Bites and Dark Chocolate Salted Pumpkin Seeds. We will have to see if consumers agree. We are constantly developing our range, looking at the latest and most innovative flavour combinations. Bean & Pod won’t always be boxed chocolates – we’re currently developing a luxury hazelnut spread, so watch this space. How do you promote and market your products? Our chocolate does the talking for us. We are creative with our flavours and packaging formats. Ensuring that there is something for everyone in the collection. Bean & Pod launched at the Speciality & Fine Food Fair this year and we plan to attend additional trade shows to showcase our gourmet range. How has the industry changed since you’ve been working in it? The brand is new and we are very excited for what’s to come. In the lead-up to unveiling our collection, we noticed a rise in health consciousness. 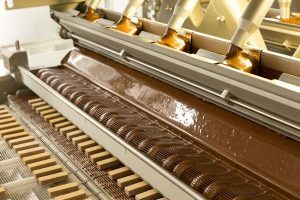 Consumers still want to indulge in a sweet treat – but premium quality and great taste is key. Bean & Pod offer chocolate made by hand where quality is assured. Are there any challenges and opportunities you’re seeing at the moment? Premium chocolate is currently a strong segment of the market, as is food gifting. We have the opportunity to provide unique and accessible high quality chocolate to consumers in beautiful packaging for individual occasions – such as our heart shaped box for Valentine’s Day. We want to make memorable moments and experiences to keep consumers coming back for more. What are your plans for the future and how do you see the company progressing? After a successful launch with exceptional interest at the Speciality & Fine Food Fair 2017, we are already looking into expanding our artisan kitchen. There is no ‘typical’ day at Bean & Pod. From taste testing and flavour experimentation to hand finishing orders, we constantly try not to be ‘typical’ in anything that we do.